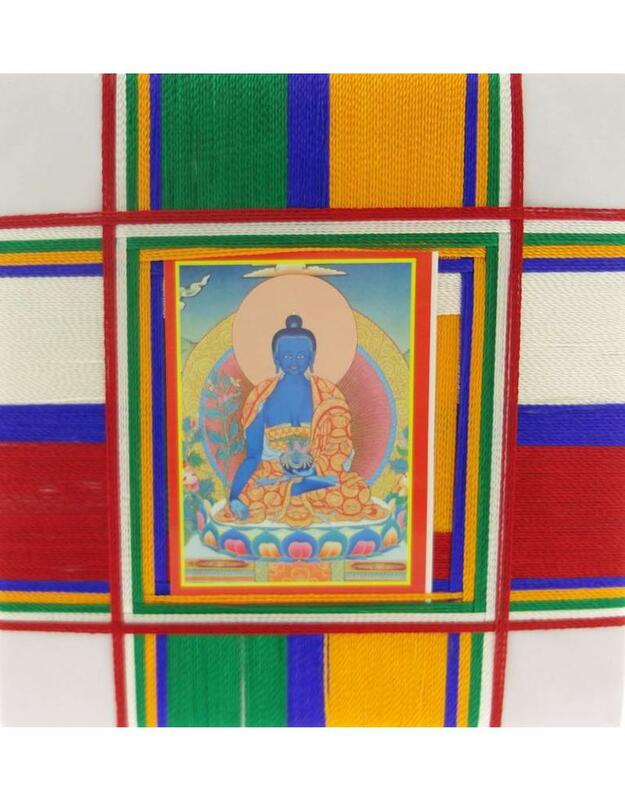 Tibetan protection amulet Medicine Buddha. 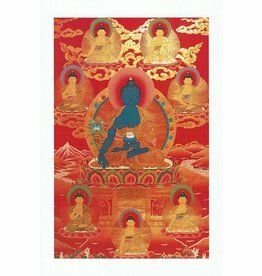 Medicine Buddha is also called: Sangey Menla (Tibet). 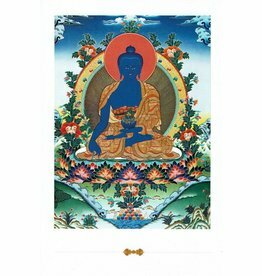 Medicine Buddha is the Buddha of Healing. 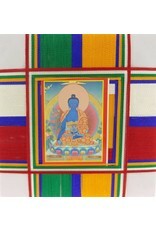 The amulet is made of silk and a paper with the mantra: "Tayata Om Bekandze Bekandze Maha-Bekandze Randza Samudgate Svaha". 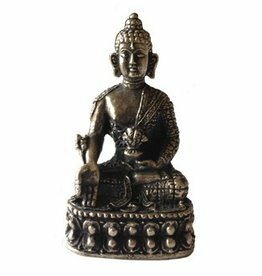 In Tibetan Buddhism is believed that wearing this amulet, protects from dangers, liberates from diseases, anger, harmful influences and brings good health and success. 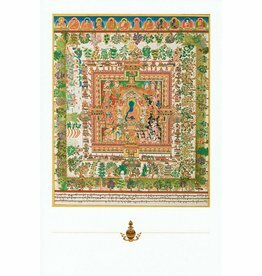 The purpose of this amulet is to hang it or place it somewhere in your home. 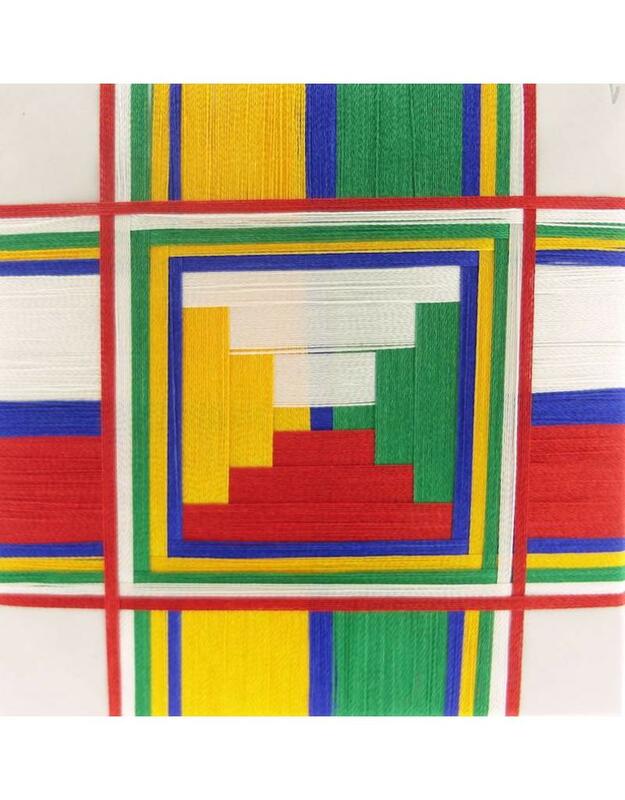 This unique handmade Tibetan Buddhist protection amulet comes from the Bouddhanath Stupa in Nepal and is called Sung Khor. The amulet contains a paper mantra dipped in saffron water, then dried, folded, and wrapped with silk thread. Finally the protection amulet is blessed by a Buddhist Lama. 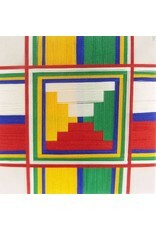 The dimensions of this amulet are 4 cm x 4 cm x 0.5 cm.